Little White House Learning Center is proud to offer a Transitional Kindergarten class. This program is Kindergarten level for children who's birthday is from September thru December who are not ready for Kindergarten (age 5 by Dec. 31st) but need an extra year for social and or emotional growth. This program helps to get your child ready for Kindergarten by teaching all the same fundamentals used in Kindergarten while enhancing their socialization skills. Children transitioning from our Pre School program may be considered for this program based on teacher recommendation. The basic goal is to help children grow socially by learning to cooperate, share, and interact with his/her peers. We strive to make children more aware of the world around them through monthly units of study. Visual and auditory discrimination and motor control are basic areas of concentration. 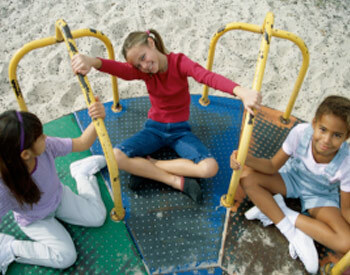 Daily activities are designed to enhance developmental areas. Social Development is achieved when children learn to cooperate within a group; share, respect differences, and express their feelings. Cognitive Development experiences include math and science as we encourage a sense of curiosity by exploring and observing. We build the foundation for healthy reading and writing skills. Language Skills are developed when students speak, communicate, listen, and follow directions with teachers and peers. Recognition of numbers, letter and their sounds, relation concepts and classification encourage problem solving skills. A strong physical and emotional development is part of our every day routine. Hand eye coordination, perceptual skills and rhythm & movement promote a healthy self-image. We foster cooperation while encouraging independence and trust. Art, music, and drama activities compliment the learning process in a fun way. The Transitional Kindergarten is a 5 day program with the option of full or part time hours. If you would like to set up a tour or have questions about our programs, please fill out the form below.